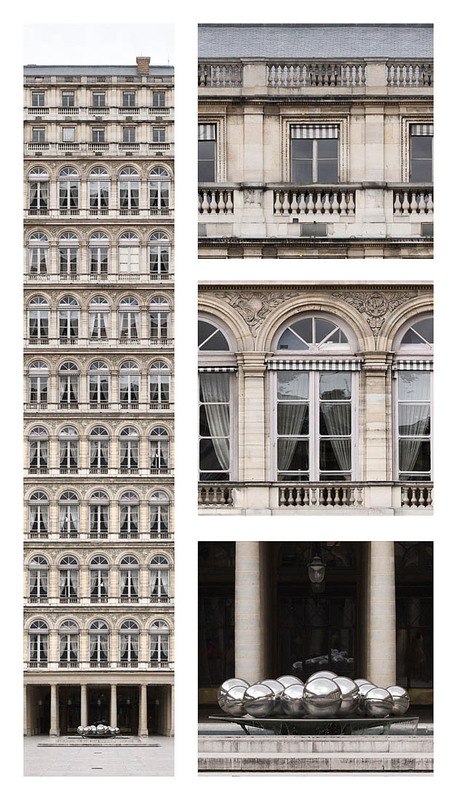 A series of large-format photographs (up to 10 meters wide) of buildings where the windows become an element which is repeated ad infinitum. 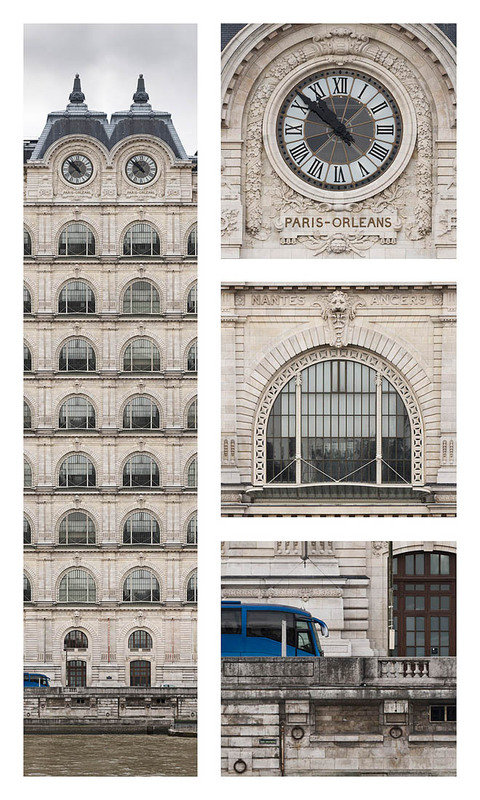 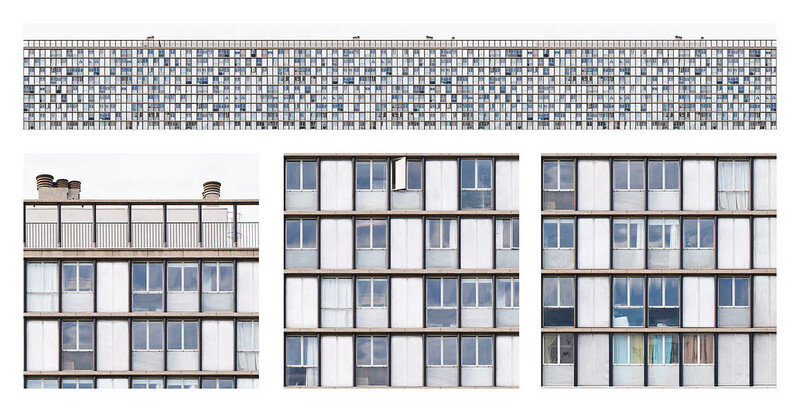 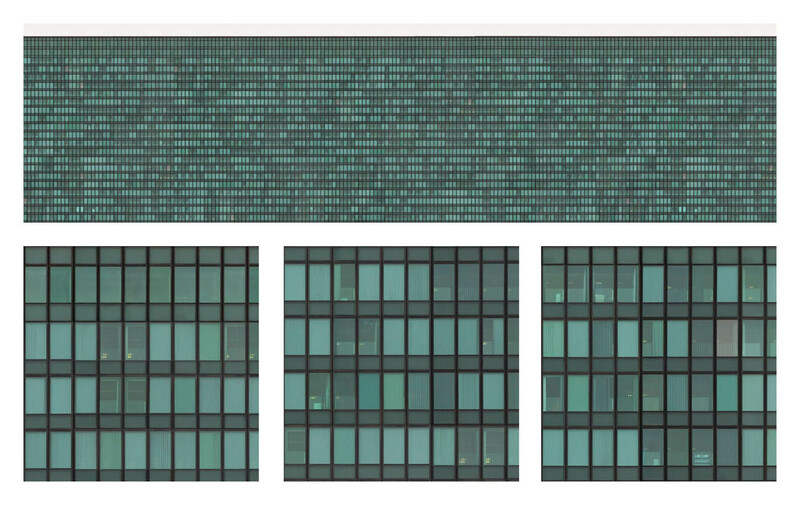 The windows of a building are photographed almost one by one and then are mounted together on a computer-based repetition, thus creating a gigantic collage. 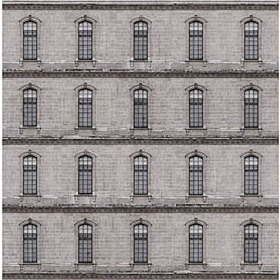 Thanks to the repetition of windows a virtual construction of buildings that do not exist in the real world is created, huge palaces with thousands, sometimes ten thousands of windows. 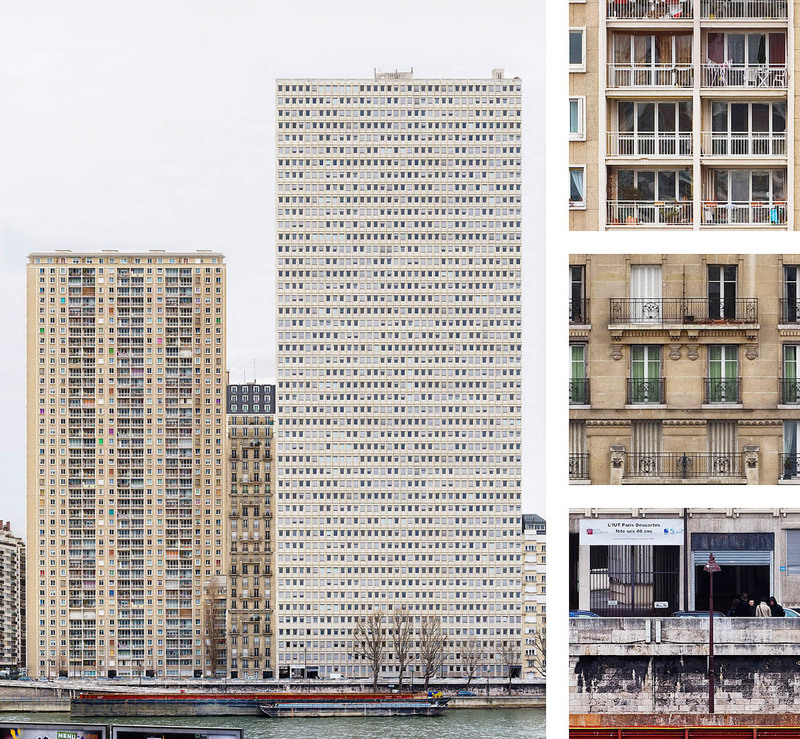 The photographs explore a possible urban space, a space between the present and the future, cities as they seem to be or the way they might become. 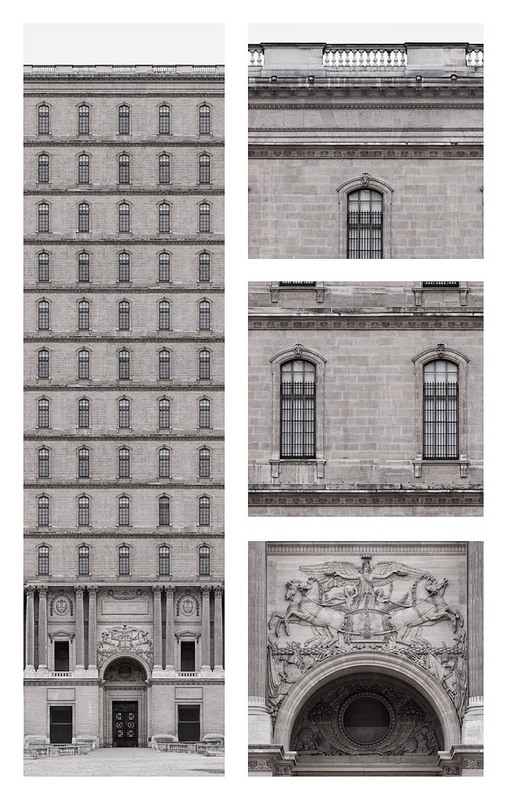 A game that goes beyond space and time, modern buildings and historical palaces are mixed together creating a new architectural style, where only repetition makes sens. 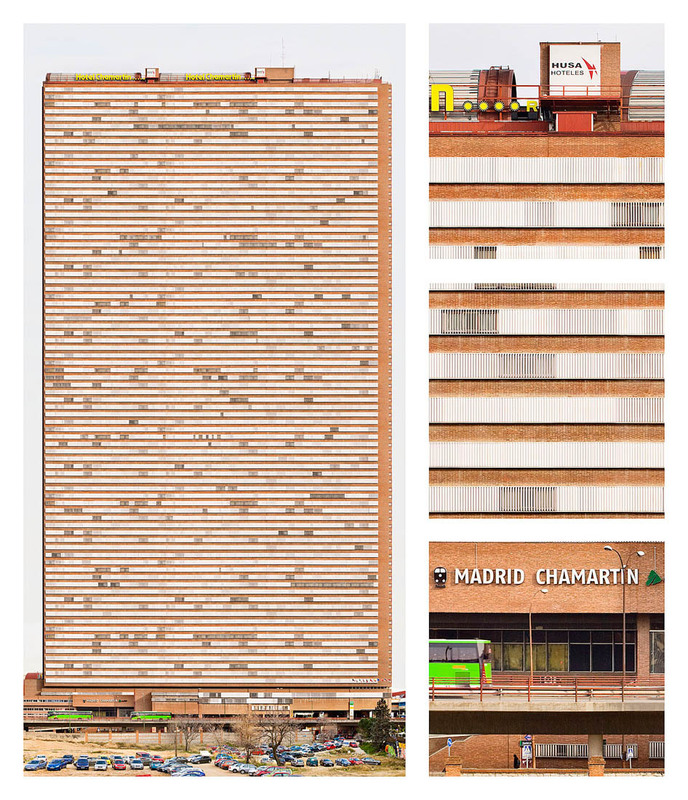 It is a journey in a modus vivendi dematerialized and increasingly decentralized, in which repetition, standardization and impersonality prevail. 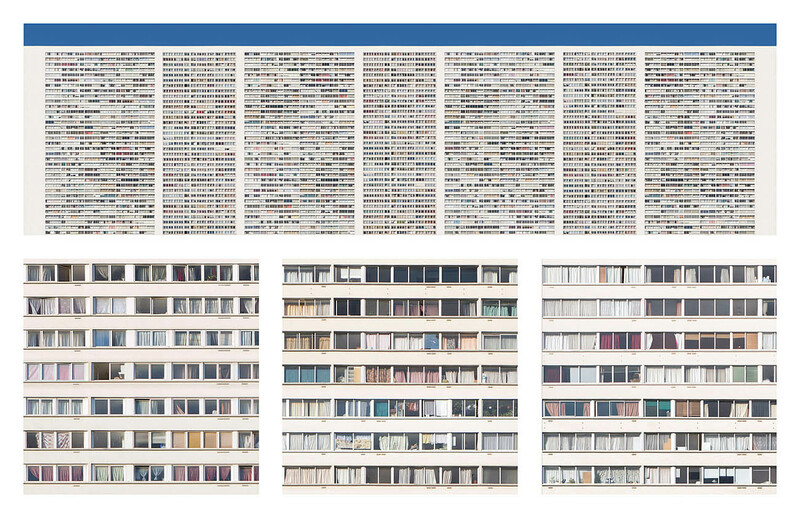 The giant wall of windows which is every photo of the series, becomes a universe to explore, awakening in the spectator a voyeuristic desire of scanning other people’s homes and lives. 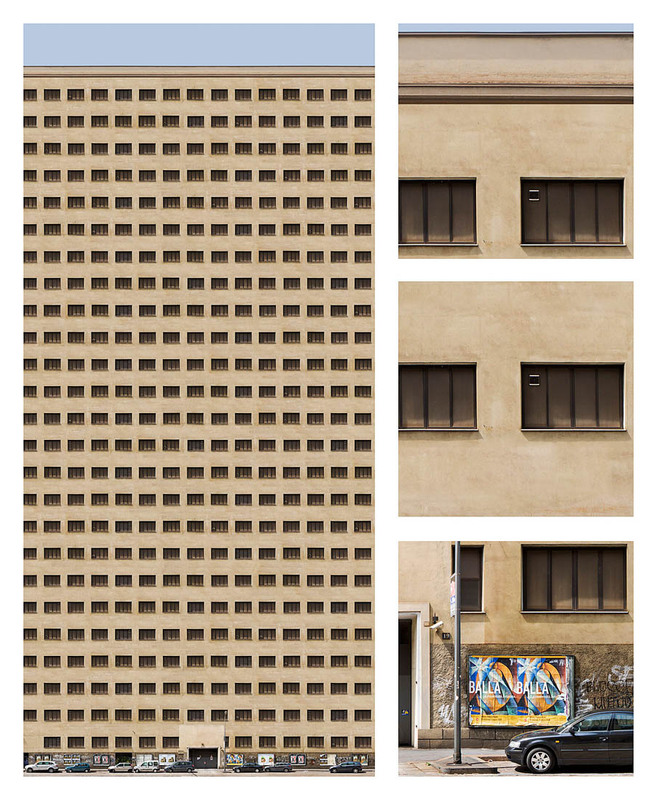 A desire that is eternally dissatisfied because we are confronted with a trivial and repetitive reality. 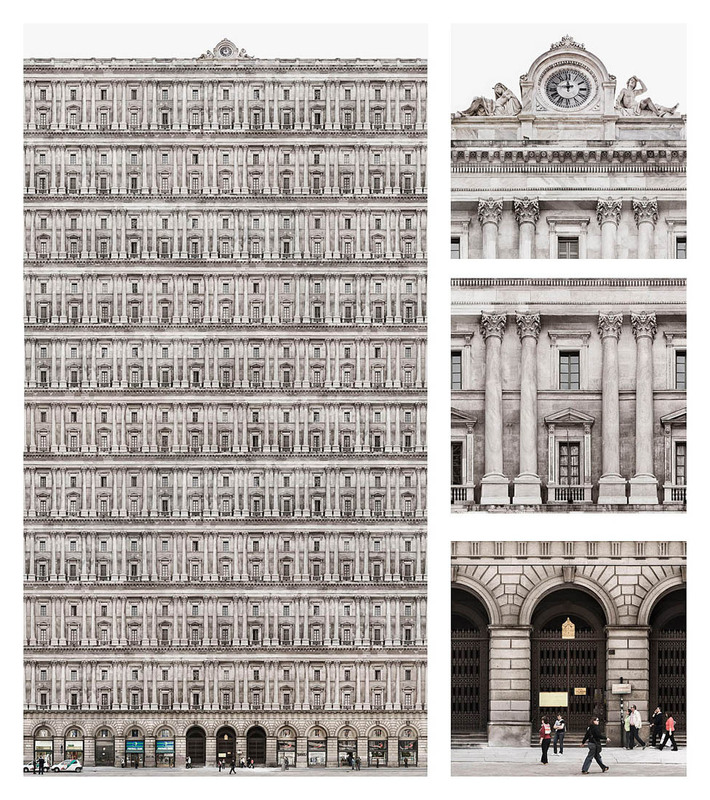 An infinity of uniform and hyper-detailed micro-worlds that make up everyday life, the representation of living in cities. 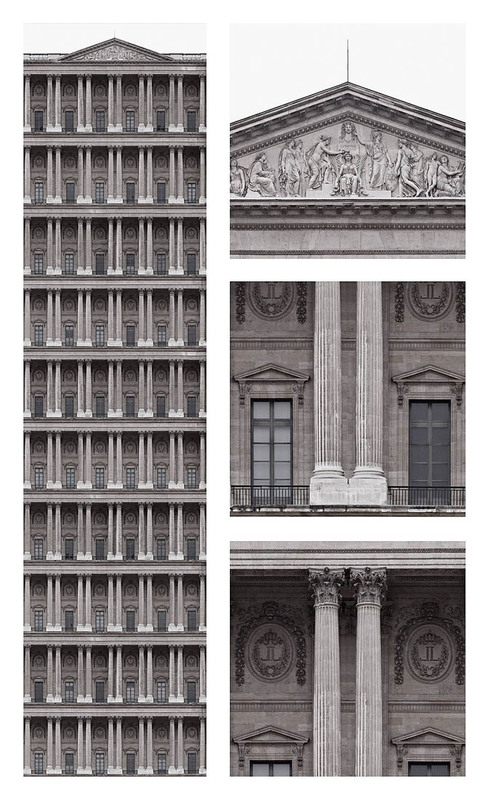 The photographs of repetitive elements in the buildings and palaces are used to create artistic installations, such as Infinite Cube City.